So what is a contact & non-contact injury? The Physical Preparation team’s number one goal at the European Football Academy is for a zero percent occurrence of non-contact injuries, during training and games. All of our training in preparation for football has components that bring this in to focus for our players. A Contact injury occurs when there is contact between two or more players, where the outcome is highly unpredictable and dictated by something outside of the players control, an excellent example of this happening would be a tackle from behind by an opposition player when you as the player are not expecting it. The resulting contact between the two of you can cause injury. A Non-contact injury can be something like a hamstring or thigh strain caused during sprinting while running for a ball, a training drill or game, basically no contact has occurred between yourself and something else (opposition player, goal post etc) and the environment is under your general control. Ground surface and inappropriate equipment such as no studs can be a factor in these injuries. Generally you would hope your body as an athlete can handle the change in ground surface conditions, and it is something as your coaches we can control to a large extent through the types of drills and exercises we prescribe in the session to avoid potential hazards for injury. So how does the Academy avoid these occurrences? Strengthening common muscle groups that are injured in the sport is a key aspect of prevention. In football the ankle, hamstring, thigh and groin are very commonly injured due to the explosive nature of the game, the tackle situation and the quick changes of direction that are required. Strengthening the potentially weaker area’s, helps to reduce the chances of injury. 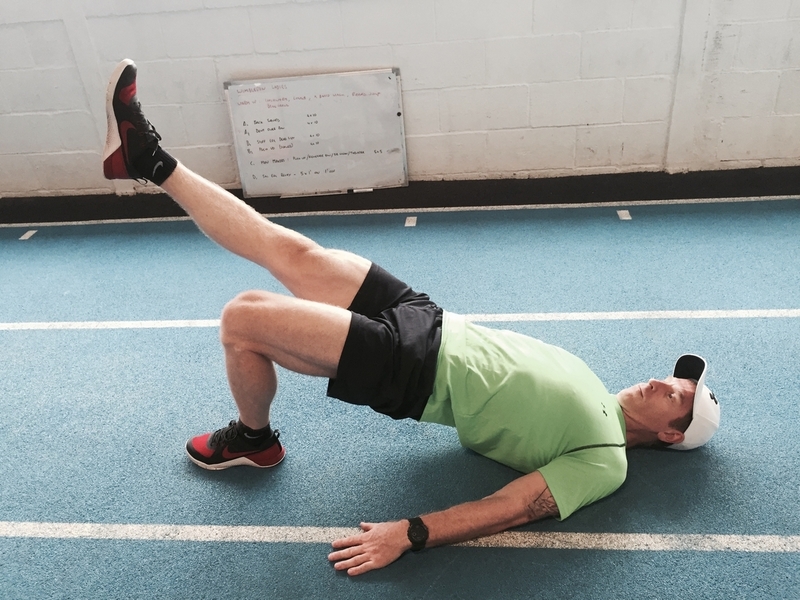 Very simple exercises can form the basis of a program that can be carried out at home to help prevent injuries occurring, or give a level of protection against injuries that do happen from being worse than they could be. In part 2 next week, I explain more about how we go about taking care of our players at the European Football Academy, and what we encourage our players to do to keep our injuries down. Jason St Clair Newman – BPhEd, DipSpSt.